QuickTime Alternative will allow you to play QuickTime (.mov .qt) files. This way there is no need to install the offical QuickTime Player. 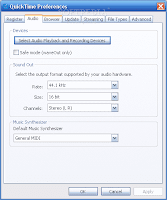 It also supports QuickTime content that is embedded in webpages. The QuickTime plugins include iPIX and QuickTimeVR. 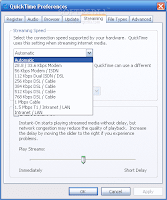 QuickTime Alternative is a software with codecs, filters and plugins that play QuickTime files. The QuickTime Browser plugin supports Internet Explorer, Opera, Mozilla and Netscape. It is highly recommended to uninstall all existing QuickTime related software, like QuickTime Player, before installing. This way your system stays clean and potential problems will be avoided.